When you think about camping in a van, you probably are thinking about nomadic souls wandering the world, or couples or families getting away from their 9 to 5 to escape into the national parks and wilderness for a week or two. You’re not alone, as this is most of the campervan usage and media is all about. However, are these all that campervans are used for? What are some of the other ways that people might use a campervan, particularly a campervan rental? Here are three less well-known methods to consider for your exploration into Vanlife, in 2018. These days, outdoor music festivals are extremely popular, and naturally, they involve camping. While many people simply pitch a tent, or maybe even bring an RV, the same advantages of van camping apply here as anywhere else, chiefly the perfect compromise between mobility and comfort. Particularly in the American West, we have some of the biggest and best Summer festivals you might want to partake in. Not all of these have to be the standard outdoor festivals like Coachella or Burning Man, either. 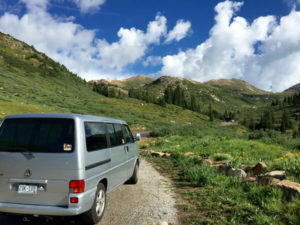 Sometimes, the festival is right in the heart of the City, and while campervanning is normally associated with the outdoors, it can be just as good for avoiding the high cost of lodging, when attending a music festival in Denver, for instance, as long as you can find good places to park. Again, this might run contrary to our typical concept of a campervan adventure, but bear with me. If you are someone who is passionate about sports, and perhaps are traveling to a particular destination to see a particular game, or series of games, then renting a campervan might be a great idea. While lots of people bring RVs for tailgating, why not keep your expenses minimal? In a campervan, you can affordably have a place to sleep and stay nearby all the other fans, while simultaneously having the freedom to go out and explore the city without the obstacles of a gigantic RV. You can even go stay in a nearby state park, if one is available, and get the best of both worlds. Okay, so this one might sound a little strange: why wouldn’t you just stay in their spare bedroom? Or at a hotel? You might be surprised, however, at how many situations where this makes sense. For instance, if your entire family is visiting, there may not be room, you may prefer not to burden them, or you might be flying in and also wanting to visit multiple people within the same area. While staying in a campervan might not be the first place people’s minds go to when they think of lodging while visiting friends and family in a faraway location, it can actually make a lot of sense, in some situations. Not only that, but you may also have the convenience of being able to park it in their backyard or even their driveway, and still get a partial camping experience, or pick up and go camping for one night, then come back to town to continue spending time with them. Well, there you have it, three ways that you can use a quality campervan rental which you may never have otherwise considered. Viva la Van Life!